GM product chief Tom Stephens: "The technology does not go away." 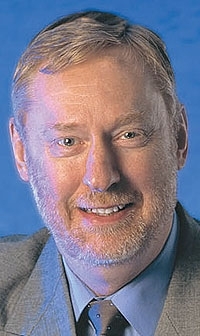 DETROIT -- The death of the Saturn brand wont slow down the roll-out of General Motors plug-in hybrid powertrain, according to Tom Stephens, vice chairman of GMs global product development. After GM said last week that it would stop building Saturns at the end of this year, not 2011 as previously planned, GM sources said they knew of no other plans to use the plug-in hybrid powertrain. The powertrain had been scheduled for the Saturn Vue. But Stephens says the powertrain will find another home. GM plans to install the advanced gasoline-electric drivetrain, teamed with GMs Two Mode front-wheel drive transmission, in a compact crossover vehicle and introduce it at the same time as the Saturn Vue plug-in crossover was to debut, early in 2011, he told Automotive News. Stephens would not say which vehicle would get the plug-in powertrain, but vehicles similar to the Vue which might be candidates include the Chevrolet Equinox and GMC Terrain. The plug-in Vue would have delivered fuel economy of about 35 mpg, or slightly higher. GM plans to deliver the first plug-in hybrids to the Department of Energy and the Electric Power Research Institute for fleet testing in 2011, he said. The institute is a nonprofit organization that conducts research into electricity. GM had planned to launch a full hybrid version of the Vue this summer using its acclaimed Two Mode transmission and then add the plug-in feature in 2011. Now GM is going to launch the Two Mode transmission with the plug-in feature all at once in that year. No date has yet been determined for when consumers will be offered a plug-in hybrid. Stephens said the price of fuel may play a role in determining that. Toyota also plans to launch a test fleet of plug-in Priuses before offering them to consumers. With the death later this year of the Saturn Aura hybrid, GM will have more available hybrid parts, such as batteries and electronics, to build the Chevrolet Malibu Hybrid if sales are strong. The two vehicles use the same powertrain.